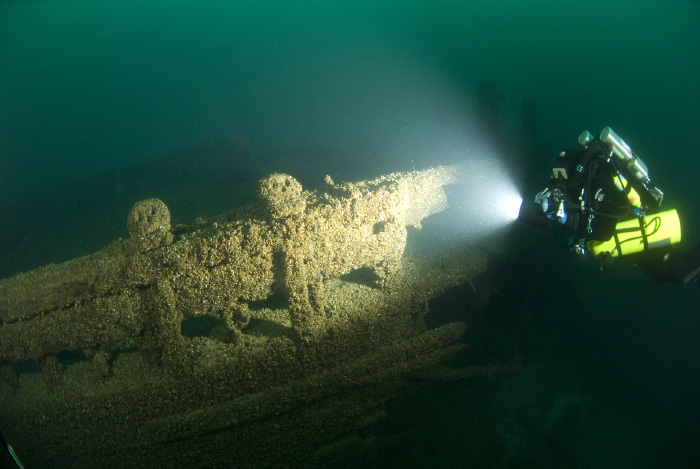 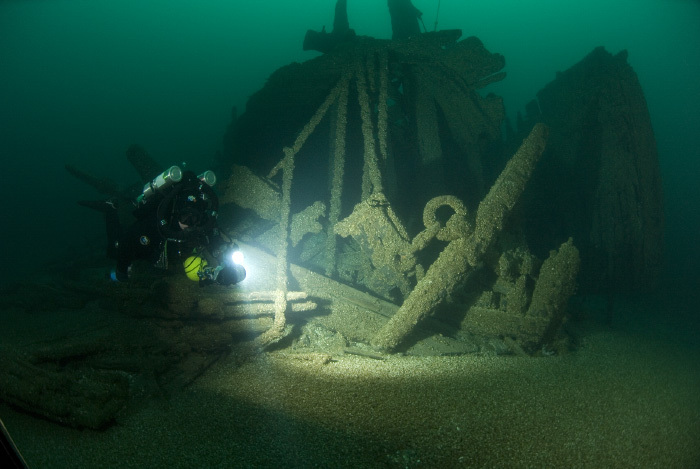 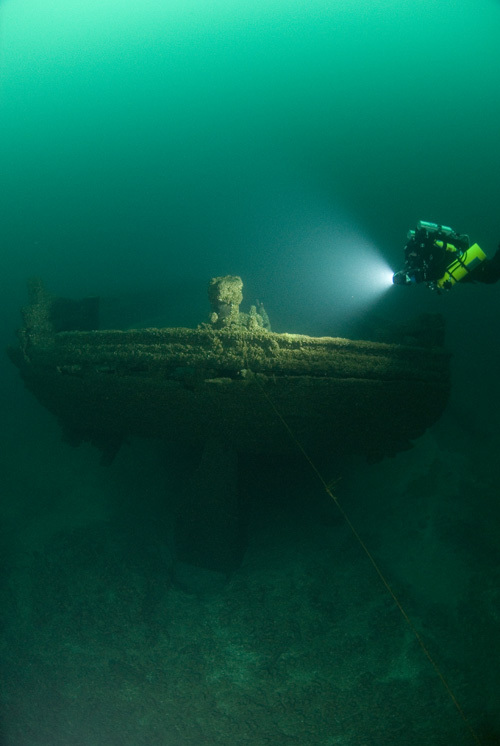 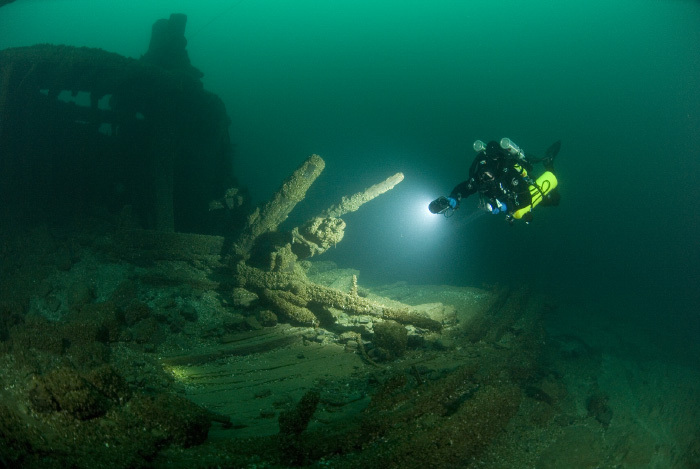 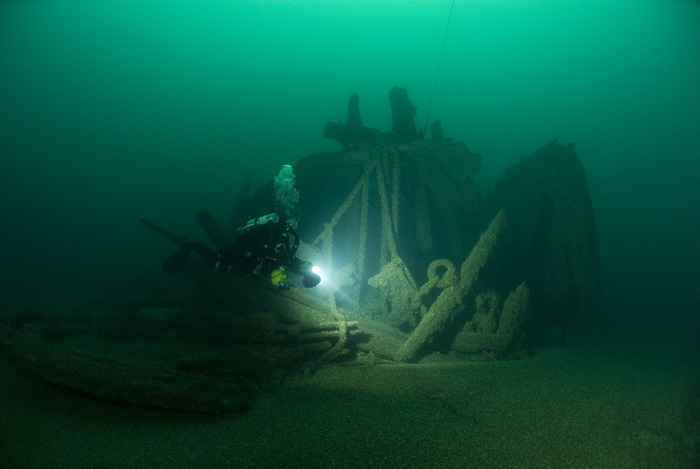 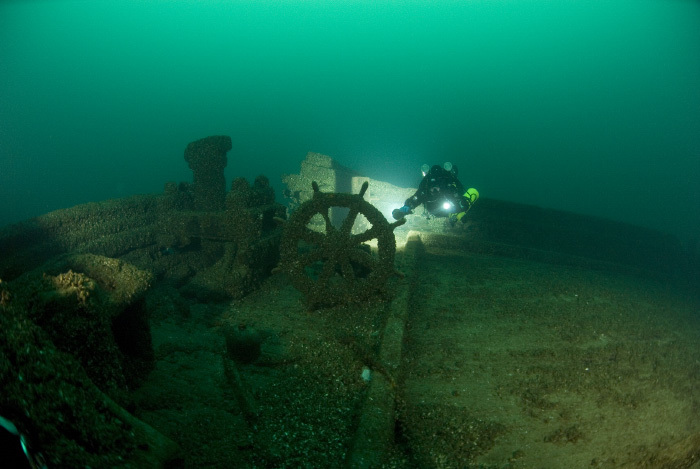 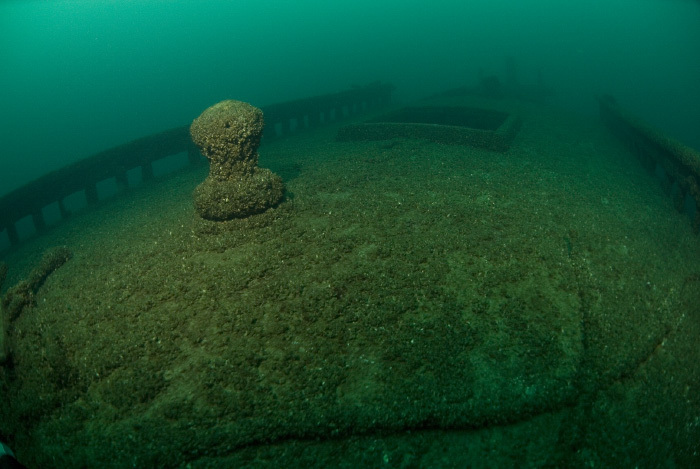 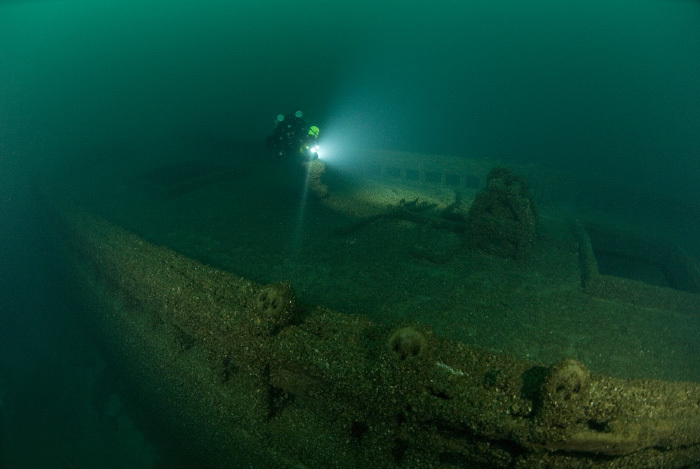 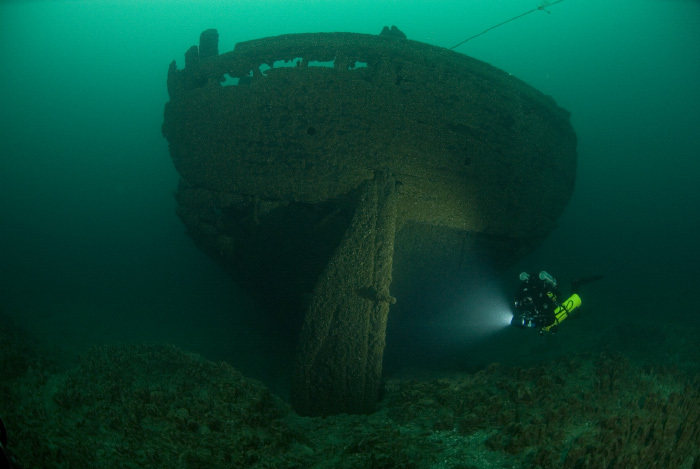 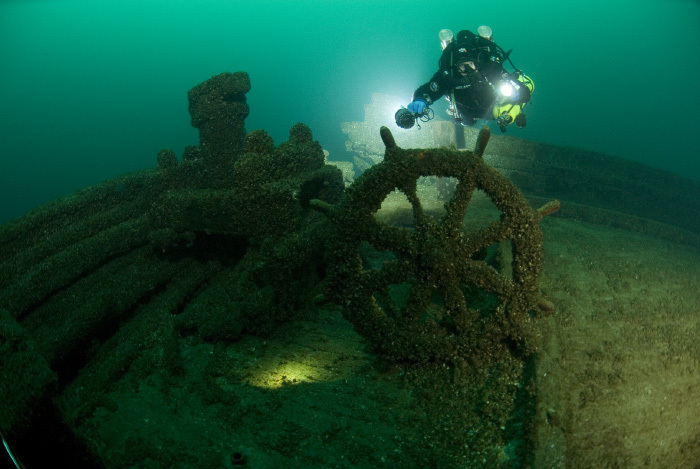 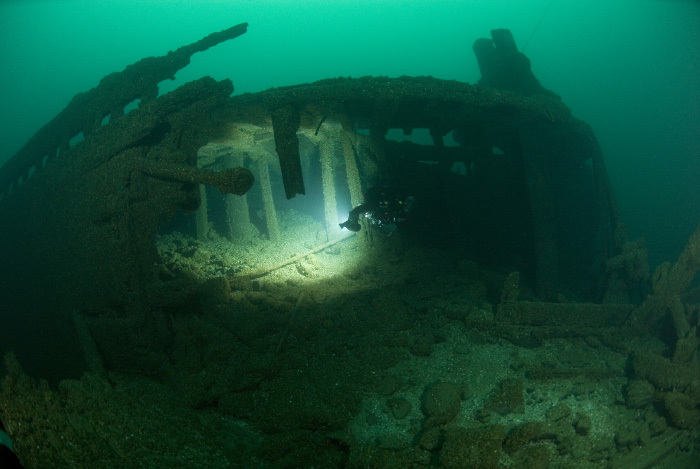 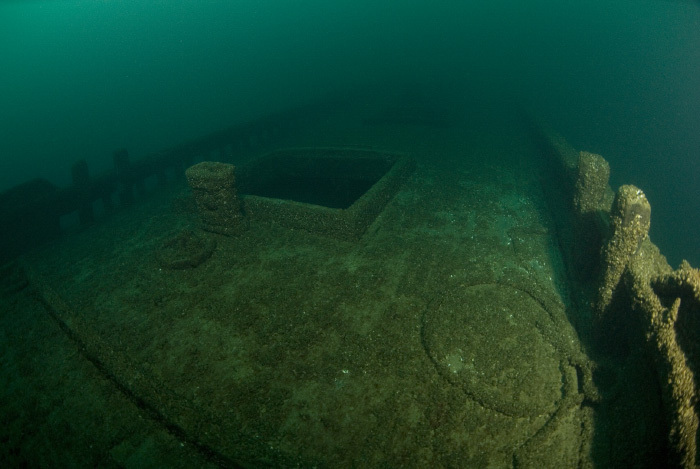 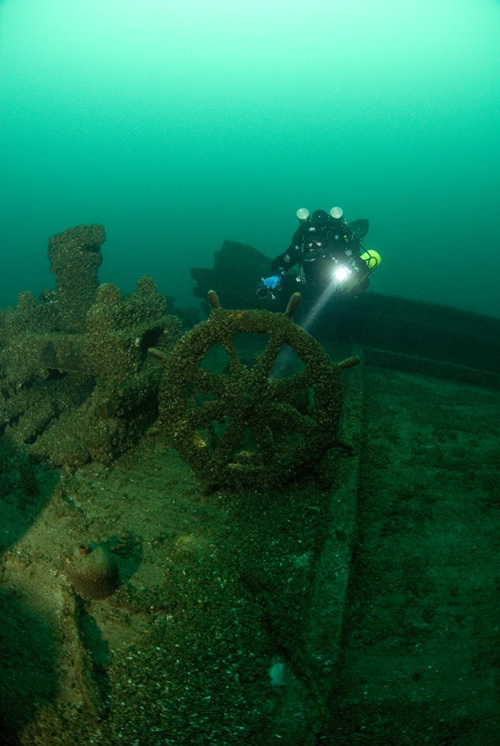 The schooner W. Young was discovered in 2002 under the curious circumstances - the police divers were looking for a woman that reportedly jumped from the Mackinaw Bridge. 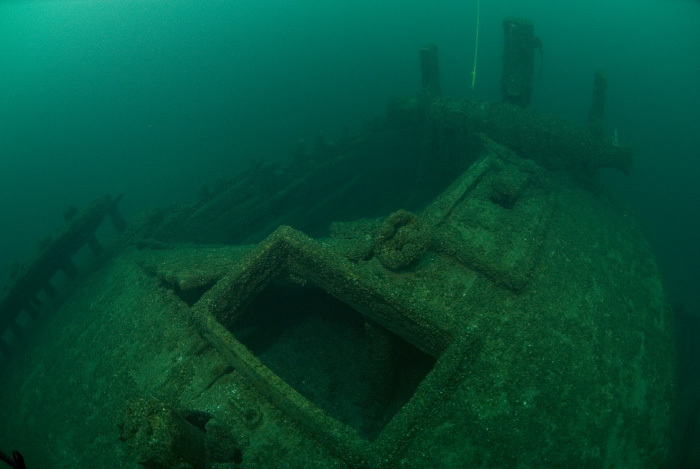 Turned out the woman did not make the jump after all, but in the process of searching, Young was discovered. 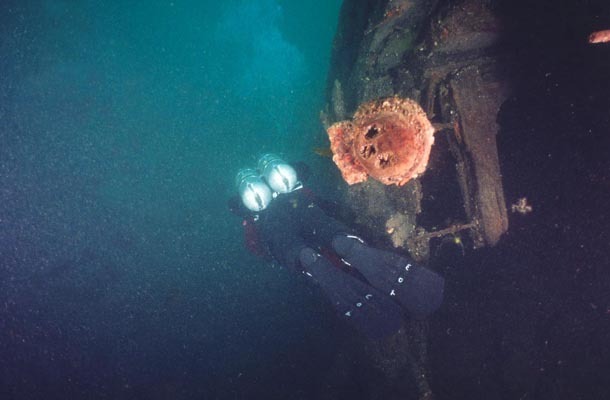 Being almost right under the bridge, in the shipping lanes, what really is a mystery is how she managed to not be discovered for that long. 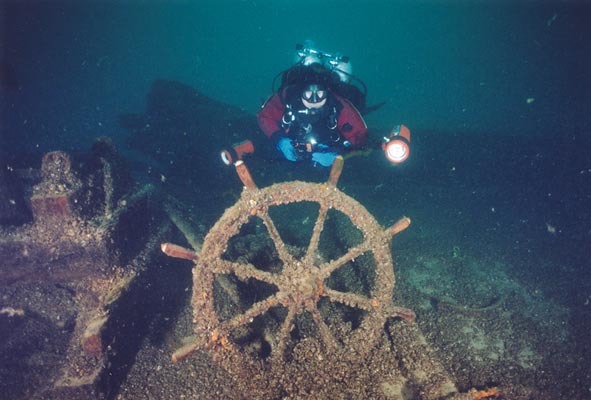 Highlights include: the steering wheel, partially collapsed deck, chains and anchors. 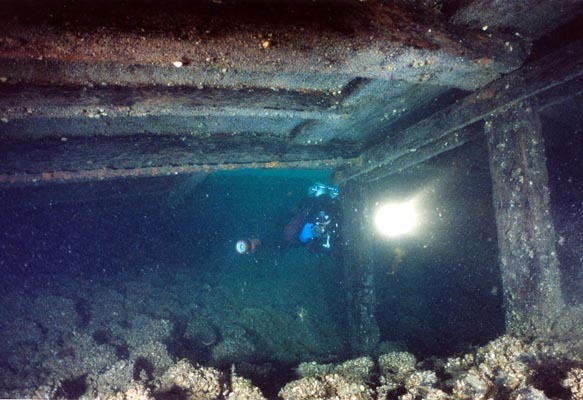 Hazards include depth and the viz that can range from excellent to non-existent depending on the current patterns. 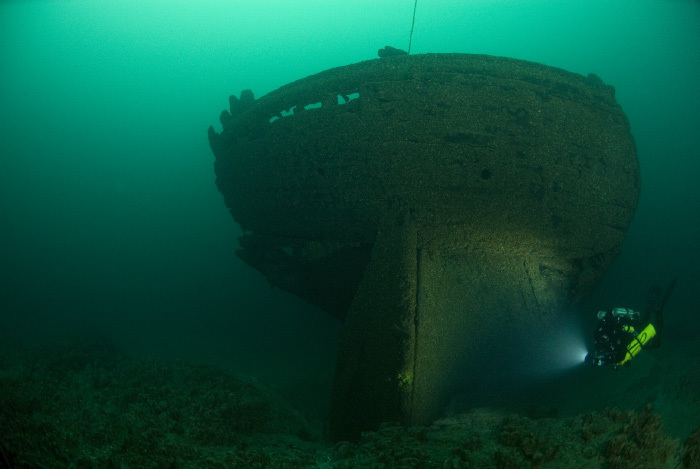 I dove that wreck twice, in 2003 and 2008. 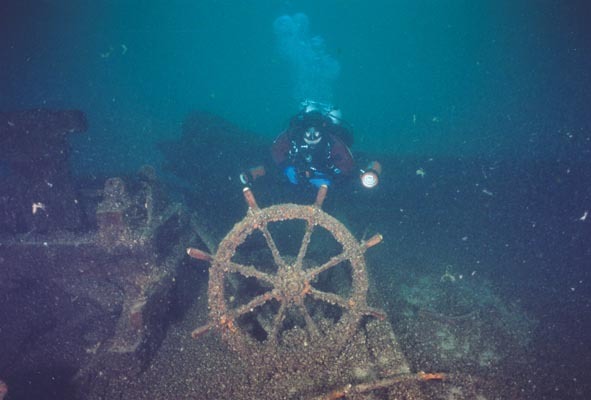 The visibility in 2003 was really bad and much better in 2008.